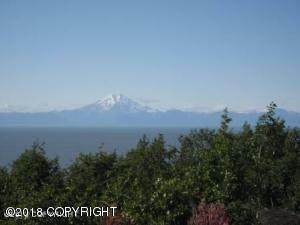 DESCRIPTION: 3.01 acre bluff lot, awesome view of Cook Inlet & Redoubt Mountains. Electric is adjacent to lot. Priced to sell below Borough Assessed Value!! DRIVING DIRECTIONS: Sterling Highway south to MP 127. Look for sign.